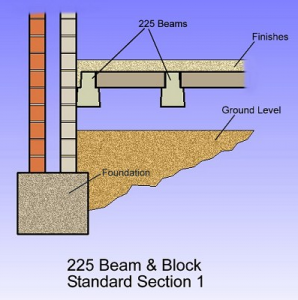 Beam and Block Flooring by CBS Precast provides a cost effective and easily installed precast concrete flooring system. 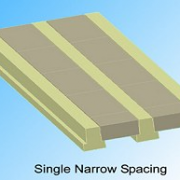 It can be used on both ground and upper floors, subject to Building Regulations and are available in 150mm and 225mm depths. 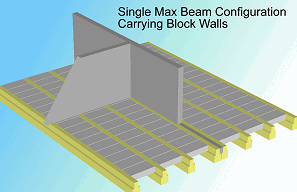 will design your beam and block floor to meet your exact requirements. 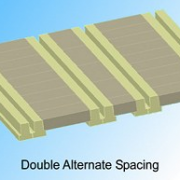 We produce detailed drawings, which once approved, are manufactured ready for delivery to site. 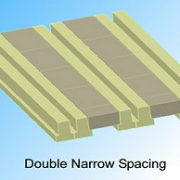 We also offer Insulated Beam Flooring. 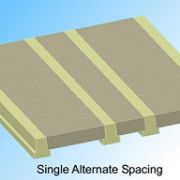 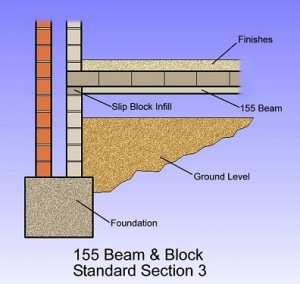 See our products page for more information about Insulated Beam and Block Flooring. 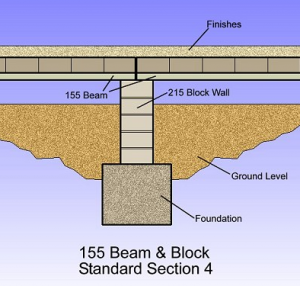 Having agreed and arranged a site inspection to determine access for deliveries, site conditions, storage space and craneage requirements, CBS Precast will produce site specific Method Statements and Risk Assessments together with a full Lifting Plan. 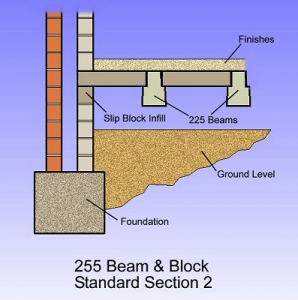 As a result we can ensure a speedy, safe, efficient and effective installation. 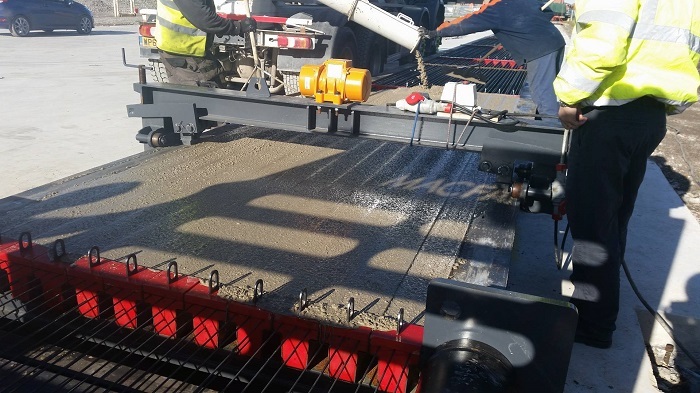 A fully qualified and extremely experienced installation team with a proactive and practical approach will be provided by CBS Precast. 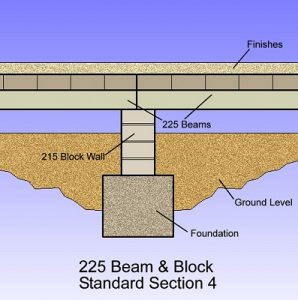 The team will achieve an installation of up to 250 sqm in one day (dependent upon the design complexity for each floor). 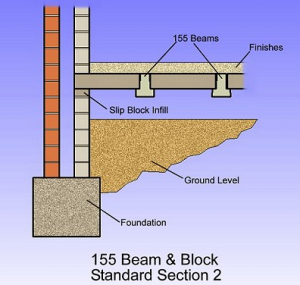 Prestressed beams, from 150mm to 225mm depth (for more demanding applications) are laid at specified intervals with standard concrete blocks placed between them. 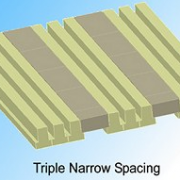 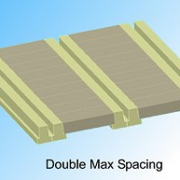 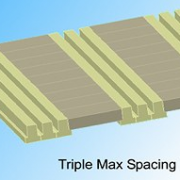 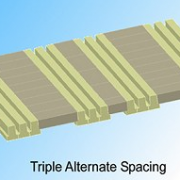 The strength of the floor may be varied by reducing the spacing of the blocks and increasing the intervals of beams or by doubling up the beams under partition walls or areas with particularly high loadings. 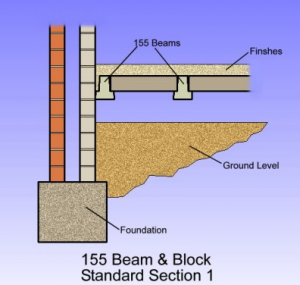 The beam and block floor is then grouted with a sand/cement mix to prevent any movement once the installation has been completed. 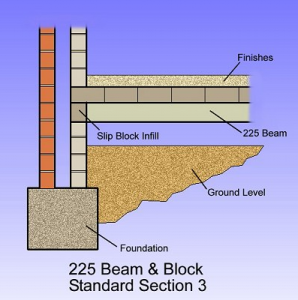 Beam and block flooring can achieve a half hour fire rating with 150mm beams and one hour with 225mm beams.